The other day, JapanStyle introduced a Japanese heater table, Kotatsu, and it’s a multi-used table for a family. 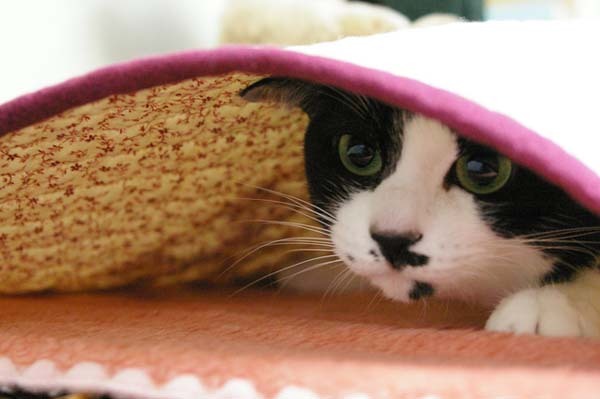 Because it’s so warm and comfy, pets love to stay in Kotatsu, especially cats! You know how they love to sit on a warm thing or sun bathing? They love to take nap in Kotatsu. For the kotatsu lover pets, there are pets’ Kotatsu sold in Japan. The temperature of this pet-safe kotatsu is lower, and the cord is coated with special material to prevent pets from biting it. It’s said that the Kotatsu was sold out last year. Click HERE to see the video (YouTube) of the Kotatsu and cats.